"to make disciples, servants, and leaders of Jesus Christ!" 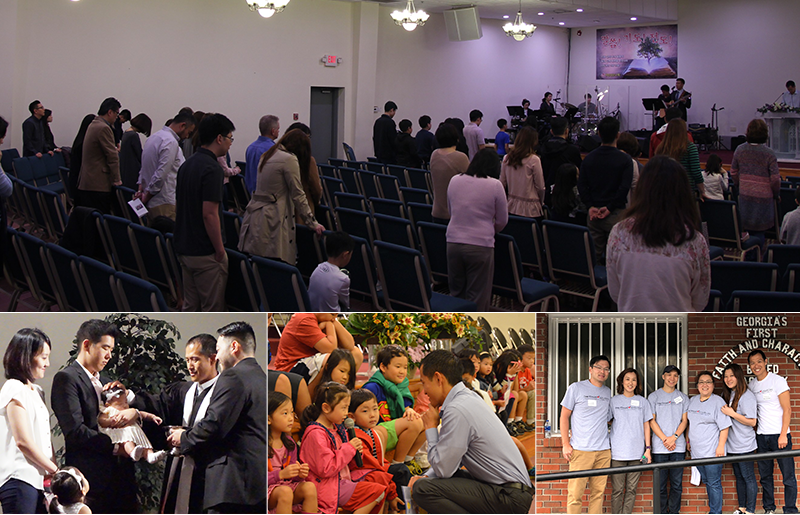 Pastor Joe Kwalk is the youth pastor and Adam Oh is the assistant youth pastor at Saehan. Pastor Brendon also gives guidance for the youth group. We believe that this team-centered ministry is not only beneficial for the students but also beneficial to the pastors. Each pastor is able to use their distinct gifts and experiences to best serve the group. Youth Group Students worship on Sunday at 11:30am. From 11:30-11:45am, students meet as small groups for a short time of sharing and meditating on Sunday's sermon passage. Scripture reading, preaching of God's Word, offering, and benediction. There is Friday Youth Group at church. Dinner is from 6:30-7:30pm. 7:30-9pm is the main service. We have praise and prayer, and then Bible study led by our teachers. There is an activity once a month in order to facilitate better fellowship.